You'll be re-living your childhood memories with everything from Golden Axe, to Sega Rally, 4-Player TMNT and NBA Jam, or a myriad of Street Fighter games! Check out our games list for a complete list of games. To learn how you can support your local arcade, please click here. Are you Australia's ultimate Street Fighter? Well on Saturday April 27th for the first time ever you can step-up and prove it! 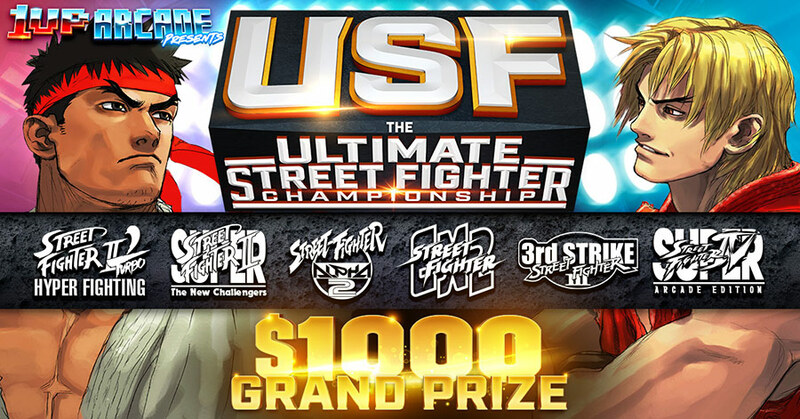 Click here to view or register for The Ultimate Street Fighter Championship. Engage with the 1UP community through our regular tournaments and workshops & stay up to date on our latest aquisitions! Check your Membership expiry here! Play for a day or become a member and get unlimited access to our entire collection! Daily entry and memberships give you unlimited access to 100+ arcade games, 16 pinballs and our retro console lounge - all set to freeplay!